The City has taken a critical step forward with the opening of four Housing Resource Centers, one in each quadrant of the city, to use $1.17 billion in federal aid to assist Houstonians whose homes were damaged by Hurricane Harvey. The City will receive the $1.17 billion for housing recovery through the U.S. Department of Housing and Urban Development and the State of Texas General Land Office. 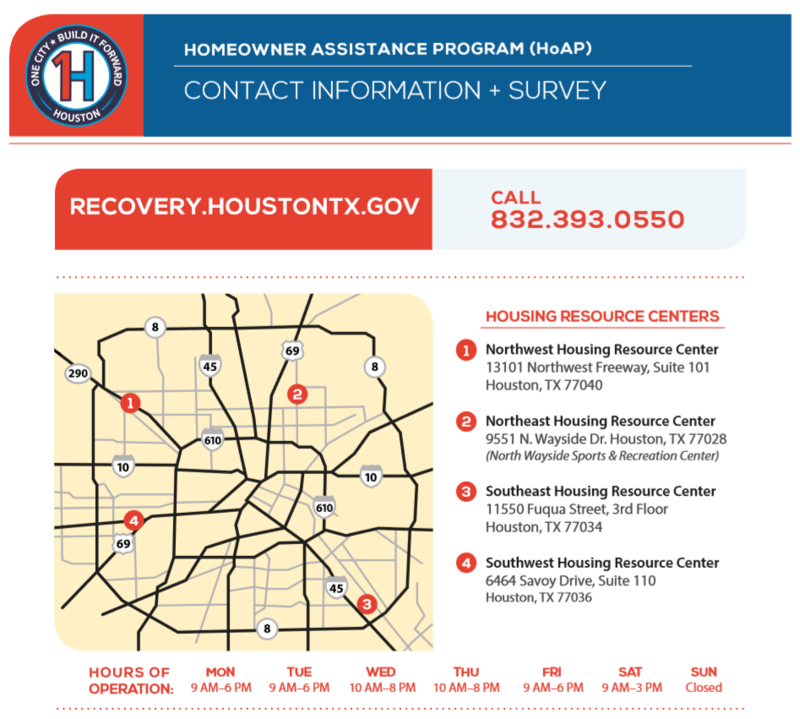 The recovery funds include the Homeowner Assistance Program, which offers five program options including: 1) reimbursement for completed repairs, 2) homeowner-managed rehabilitation, 3) city-managed rehabilitation and reconstruction, 4) buyouts, and 5) interim mortgage assistance.